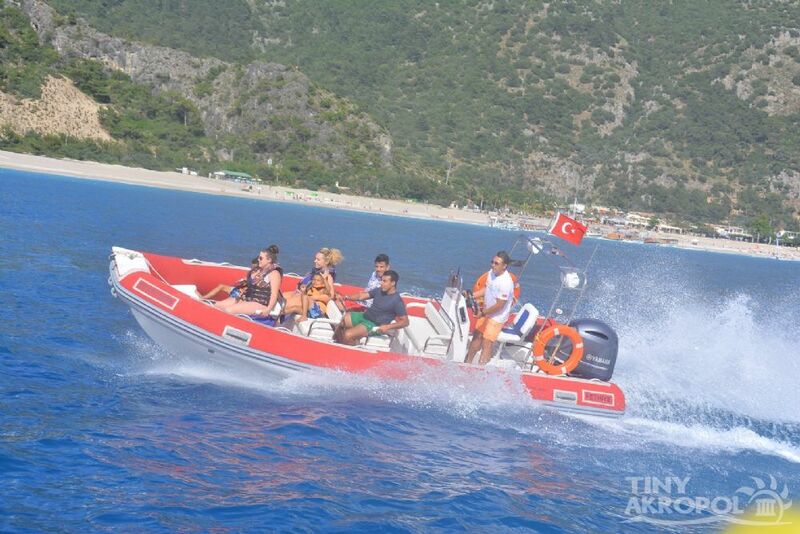 Escape Watersports' James Bond Safari offers you the chance to experience the beautiful bays of Oludeniz and beyond, at high speed on one of our exhilarating speed boats. You will pass by the world famous sites of the Blue Lagoon and St.Nicholas' Island, with its old church and ruins of ancient civilisation. Have a relaxing break at the sailing restaurant, whilst marvelling at the impressive yachts, sailing boats and traditional Turkish Gulets passing by, and then hop back on the boat to continue your adventure to the backpacker's paradise of Butterfly Valley. Keep your eyes peeled for our friends Turtle Lilly and Dolphin Milly, and your friendly captain will race the boat with them! Join our James Bond Boat five times a day at 09:00am, 11:30am, 14:00hrs, 16:30pm and 19:00hrs. 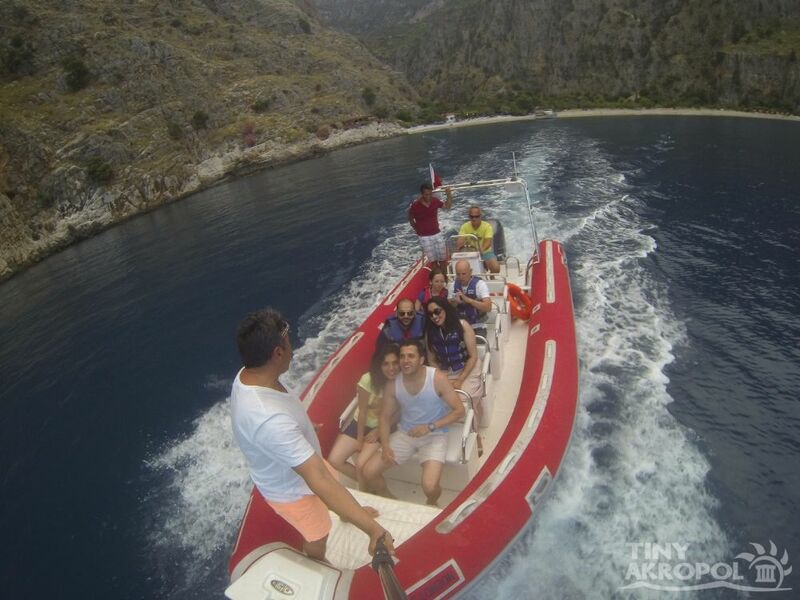 For your comfort and safety, we travel with a maximum of 10 people in the powerboat. 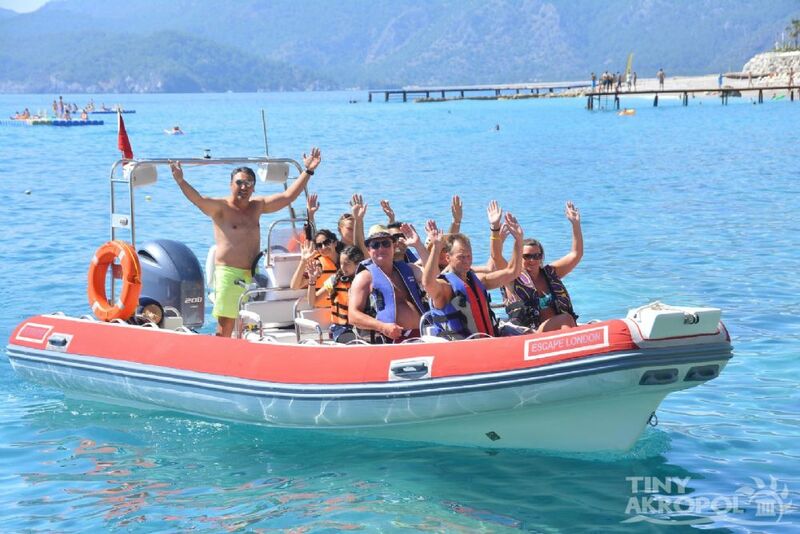 Don't miss out on this high powered adventure, it is a must for those of you who want to experience the beauty of turkey true James Bond style!